Cyber security is constantly evolving, and therefore rife with challenges. Whether hobbyist hackers or state-sponsored threat actors are targeting organizations, internal security operations center (SOC) teams must proactively assemble a robust incident response plan in order to strategically manage and ultimately eradicate attacks. Security teams at even the largest organizations can be overwhelmed by the large number of attacks that need to be investigated. Meanwhile, sensitive information is at risk of being compromised by the proverbial needle in the haystack: malware hiding in plain sight among false positives. It’s critical to accurately detect and analyze these threats. However, discovering and fully understanding attacks continues to be difficult for even the most experienced and well equipped cyber security professionals. But what if organizations had a tool in their arsenal that could accomplish all of this quickly as part of their incident response plan? Now they do, with Intezer Analyze™–the only malware analysis solution to apply code reuse detection. Powered by Code Intelligence™ technology, Intezer Analyze™ is a malware analysis solution built by incident response professionals for incident response professionals. It easily integrates processes and automations, saving time and simplifying operations, and most importantly, provides an accurate and definitive report on the nature of any current attacks on an organization. Classification is now possible in the same breath, empowering teams to begin remediation efforts immediately. With nearly 70% of organizations reporting malware as the root cause of investigated incidents, Intezer Analyze™ is poised to change the odds for security leaders. In any organization, removing the massive distraction of false positives is only half the battle. The other lies in capitalizing on available time and staff attention to address attacks before they wreak havoc on businesses. Intezer Analyze™ equips security professionals to do all of this and more, intelligently bolstering defenses and providing immunity against future threats. 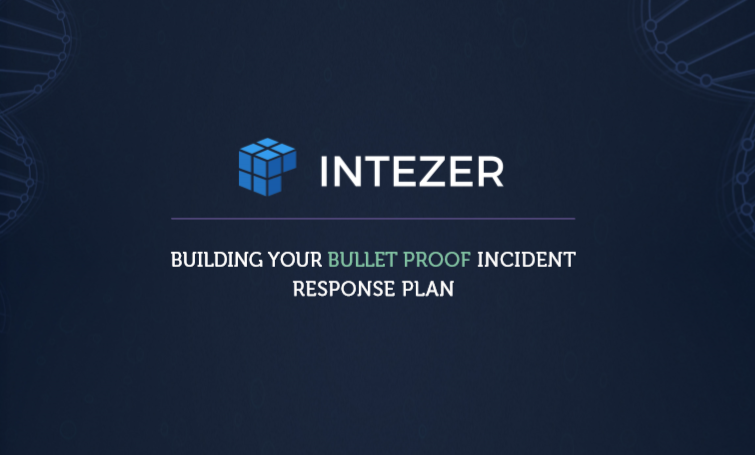 Download our whitepaper, “Building Your Bullet Proof Incident Response Plan,” to learn how Intezer Analyze™ can help your team plan an effective response to any threat, and secure your organization at the genetic level.